Prior to the last couple decades, detailed discussion of Upaniṣadic narrative in scholarship was rare and even looked upon with a degree of suspicion or dismissal; linguistic and philosophical interests dominated the literature. More recently, though, such narratives have started to receive more serious treatment as narratives. Olivelle, Brereton, Black, Grinshpon, and I have analyzed different stories or different themes across those stories. While I can only speak anecdotally, this previous suspicion towards Upaniṣadic narrative has never held for the undergraduate religious studies classroom, though a bias towards the doctrinal or philosophical persists. The Upaniṣads, like the Bhagavad Gītā, are texts that must be approached in Hindu studies’ classes, even if cursorily (generally with more consideration than the Vedas if less than the Epics or later literature). Given the fundamental place of the Upaniṣads in Hindu religious history—as our first discussions of karma and liberation as well as taken as the "culmination of the Vedas" by many within the tradition—Upaniṣadic narratives are commonly utilized in the classroom. But unlike the Gītā and the Epics more broadly, the norm for including Upaniṣadic narratives seems to be primarily as side examples meant to ease students into some of the difficulties of grappling with Upaniṣadic ideas. This is, at least to some degree, reasonable: the narratives can be enjoyable, even humorous, and the expository passages of the Upaniṣads are difficult to grapple with even for a specialist, let alone an undergraduate student. Moreover, the narratives in the Upaniṣads easily lend themselves to the role of examples (and they have done so often enough in the Hindu tradition itself) since the majority of the Upaniṣads' contents are explicitly portrayed as difficult to understand. How one teaches about the Upaniṣads or approaches the narratives in any primary text, of course, depends on the type of course being taught and one's particular pedagogical goals. In one fashion or another, I teach the Upaniṣads across the spectrum: in a broad Asian religions survey, in an introductory Hinduism course, and in a more specialized course on narratives in ancient India. It is the last that I have more in mind here, if only because that lends itself to more possibilities for potential readers to glean from for their own purposes. But whatever my course-specific goals might be, a larger pedagogical goal in each of these contexts is to instill an intellectual appreciation for the Upaniṣads as primary sources or, in the context of this essay, especially the stories within them. Some of my thinking on the nature of how to teach students about the Upaniṣads, particularly how to think with and through the narratives within the Upaniṣads, has recently been published in Sarah Iles Johnston’s edited Narrating Religion as well as in Signe Cohen's edited The Upaniṣads: A Complete Guide. My primary strategy in approaching Upaniṣadic narrative in the classroom may initially appear naively commonsensical: treat them seriously as narratives. But as we all know, what should be "common," let alone "possessed of sense," can prove remarkably elusive. And, in fairness, there is a comparable, though not necessarily the same, tendency to sideline or dismiss narrative within certain Western classical texts (such as the works of Plato) to focus on philosophical and religious ideas. By approaching these texts seriously as narratives, we must contend with the basics of narrative, not only as the structural elements or formalities of the text, but also in how such aspects work with—and are even part and parcel of—the philosophical or religious teachings. When first broaching the Upaniṣads in the classroom—whether in an introductory or advanced setting (note: the majority of my department's advanced courses do not have prerequisites, so I cannot assume familiarity with Hinduism)—I begin with a broad textual history of the genre, for example, the emergence out of the Vedic ritual schools, the newly forming urban environment with which the texts are responsive, as well as certain central terms and doctrinal concepts such as ātman, karma, renunciation, and mokṣa. Since the Upaniṣads are composite texts and since the overwhelming majority of Upaniṣadic stories are dialogues, I always emphasize that we will look at such concepts in the texts not as reproducing doctrinal conclusions, but as processes where such "central" concepts actually may not be central or may be defined differently or contested in any given context. The students and I discuss such basics as narrative framing, character and characterization, foreshadowing, plot, and narrative tension. We look at the social positioning of characters (e.g., caste, gender, and social role, such as a family member, king, god, or teacher), especially how the text utilizes such positioning directly and subtly both within and outside of the narrative frame. We examine speech characteristics (such as repetition, sarcasm, threats, and ways that these could be interpreted by an audience). Depending on the length of the particular unit, we compare different stories thematically. While hardly representative of the oral tradition, I also have students read aloud portions of the texts in translation to attempt, however modestly, to separate themselves from the written word. This proves particularly effective in getting them to appreciate structure and the role of repetition and verse citation. One type of assignment that I am particularly fond of when teaching the Upaniṣads is having students graph or chart particular passages or the narrative structure of a larger text unit. While it is not possible to have undergraduate students significantly attempt to enter into the aesthetic realm of an ancient learned audience, I think it is possible to have them visually appreciate, in a limited fashion, some of the aural and hyper-textual resources that a learned audience may know by virtue of having heard or taught a particular narrative or set of texts innumerable times. Such charting depends on the particular passage (sometimes I guide the students in the means of charting, other times I let them develop their own approach). Since a leitmotif of the Upaniṣads more broadly is bandhus (hierarchical "connections," often between the mundane and the abstract), charting becomes an important means to map what appears to be an apparently impenetrable text passage and realize that, while penetrating its meaning may be difficult—something the Upaniṣads repeatedly emphasize—it is not impossible and brings with it an appreciation for both the ingenuity of the composers and a learned audience. For example, outside of the narrative context, I might have students initially chart the very beginning of the Bṛhadāraṇyaka (1.1.1), where various parts of the sacrificial horse are related to cosmological bodies, the seasons, time, etc. Not only do both the teacher and students appreciate our own varied skills with drawing horses (mine are particularly awful), but the students can begin to visualize a cosmos intimately connected to a ritual offering. Within the narrative context, we might chart together individual dialogue units in Yājñavalkya's debate at Janaka's court (BĀU 3), but then chart more broadly how each unit relates to each other suggesting the progression of the larger narrative, especially in a socio-ritual context of priestly roles in a sacrifice. While the commentarial tradition on the Upaniṣads provides a wealth of resources in the teaching of the development of formal philosophy and key religious and philosophical ideas, its use in the context of narrative is more limited. While commentators may reference narrative elements, it is usually to provide a gloss rather than to discuss characters or narrative elements themselves. This is perfectly logical, of course, since their interests lie with clarifying particular passages or philosophical concepts and ultimately, the soteriological goal of liberation. And these certainly have an important place in the Hindu studies classroom. 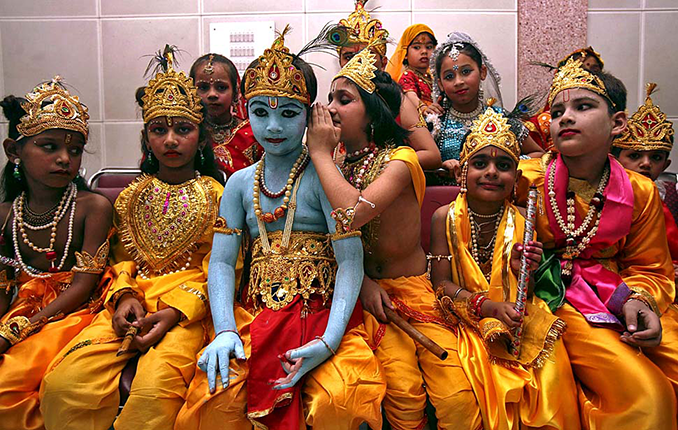 However, having students look at later tellings of Upaniṣadic stories—whether in the epics, the Purāṇas, or in modern comic book or cinematic forms—exposes them to a different form of commentary through retelling as well as gives them an appreciation for how and why stories might spread and be made meaningful over time especially outside of the expert philosophical traditions. I have found that such comparative interpretive endeavors work especially well for paper assignments. With regard to practical concerns in the classroom itself, however, I always have students read and grapple with the more difficult versions of the stories first (which often, but not always, means the historically earlier). More easily accessible retellings can over-influence interpretations of an earlier version in the minds of students. For example, we may study the story of Naciketas and his conversation with the god of death from the Katha Upaniṣad in detail—sometimes with snippets from the formal commentarial tradition—well before I expose them to, say, the Amar Citra Katha comic book version. In doing so in this manner, they become keenly aware of the sorts of hermeneutical and narrative moves that the author of the comic book is doing, for example, in elaborating the frame or contracting philosophical exposition. Not limited to the Upaniṣads, the students in my ancient narrative class do such comparative projects across a spectrum of possible texts and retellings in different media. A colleague once jokingly remarked to me, "So you want to read the Upaniṣadic stories like the epics then?" I responded, "Sure, but as long as we can also read the epics like an Upaniṣad... or a Vedic poem... or a novel." While somewhat tongue-in-cheek, my colleague understood my intent: I want to read them first and foremost as literature and, as teachers of primary sources, we should be critically aware that pre-assumed genre distinctions backfill our interpretation of the texts, whether of narratives or otherwise. If we approach the Upaniṣadic stories as ultimately about philosophy, especially about the nature of ātman and brahman, then our reading of them hones in on those conclusions and the narrative, characters, and other themes disappear behind the curtain of the doctrinal. When we present a text to students in this way, a student may develop a broad understanding of such concepts and doctrines, but they will tend to lose the interpretive instability of any text, the historical vagaries of religious change, and the processes of authority and authorization. We may, without our knowing, reassert a very particular orthodox interpretation, when our (or, at least, my) goal is to interrogate the basis and hermeneutic moves that leads to such interpretations. Moreover, I would argue, students risk losing the motivations for preservation and perpetuation of such stories as stories. 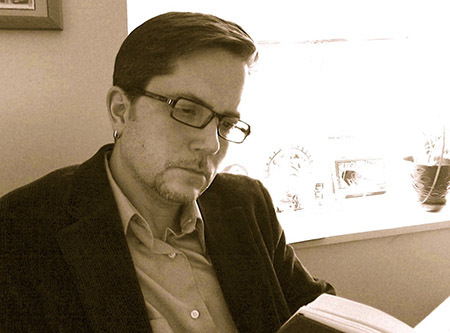 Steven E. Lindquist is associate professor of religious studies and director of Asian studies at Southern Methodist University in Dallas, Texas. He has published on topics such as late-Vedic narrative, riddle-poems, caste, genealogy, and numismatics. He edited a festschrift in honor of his mentor entitled Religion and Identity in South Asia and Beyond: Essays in Honor of Patrick Olivelle (Anthem Press) and his monograph on the literary life of Yājñavalkya is forthcoming with SUNY Press. His research interests include the Brāhmaṇas and Upaniṣads, ancient Indian religious history, comparative asceticism, narrative, and literary theory. More information can be found at: faculty.smu.edu/slindqui and smu.academia.edu/StevenLindquist. Black, Brian. The Character of the Self in Ancient India: Kings, Priests, and Women in the Early Upaniṣads, New York: SUNY Press, 2007. Brereton, Joel. "The Composition of the Maitreyī Dialogue in the Bṛhadāraṇyaka Upaniṣad." Journal of the American Oriental Society 126, no. 3 (2006): 323–345. ———. “The Upanishads.” In Approaches to the Asian Classics, edited by William Theodore de Bary and Irene Bloom, 115–135. New York: Columbia University, 1990. Grinshpon, Yohanan. Crisis and Knowledge: The Upanishadic Experience and Storytelling, New Delhi: Oxford University Press, 2003. Jamison, Stephanie and Michael Witzel. "Vedic Hinduism." In The Study of Hinduism, edited by Arvind Sharma, 65–113. Columbia, SC: University of South Carolina Press, 2003. Lindquist, Steven E. "Gender at Janaka's Court: Women in the Brhadāraṇyaka Reconsidered." Journal of Indian Philosophy 36, no. 3 (2008): 405–426. ———. "Lines of Descent and Dissent: Genealogy, Narrative and the Upaniṣads." Religions of South Asia 5, no. 1 (2011): 29–49. ———. "Literary Lives and a Literal Death: Yājñavalkya, Śākalya, and an Upaniṣadic Death Sentence." Journal of the American Academy of Religion 77, no. 1 (2011): 33–57. ———. "Narrating the Upaniṣads." In Religion: Narrating Religion, edited by Sarah Iles Johnston, 303–316. MacMillan: 2016. ———. "Prominent Characters in the Upaniṣads." In The Upanishads: A Complete Guide, edited by Signe Cohen, 95–106. New York: Routledge, 2017. ———. "The Social Background: Caste and Gender in the Upaniṣads." In The Upanishads: A Complete Guide, edited by Signe Cohen, 81–92. New York: Routledge, 2017. Olivelle, Patrick, editor and translator. The Early Upaniṣads: Annotated Text and Translation. New York: Oxford University Press, 1998. Olivelle, Patrick. "Young Śvetaketu: A Literary Study of an Upaniṣadic Story." Journal of the American Oriental Society 119, no. 1 (1999): 46–70.